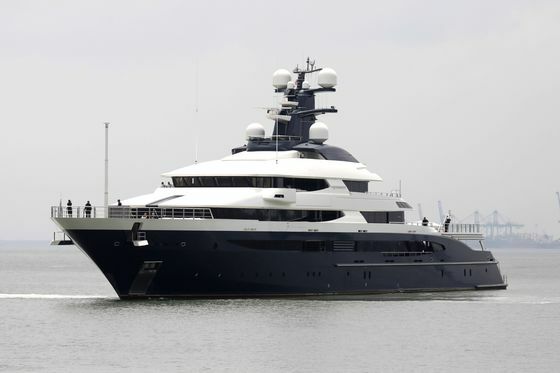 (Bloomberg) -- A superyacht seized by Malaysia’s government from fugitive financier Low Taek Jho, a central figure in the 1MDB scandal, has found a buyer in casino company Genting Malaysia Bhd. A Malaysian court approved the sale of the vessel for $126 million, which Genting must pay by the end of April, Attorney-General Tommy Thomas said in a statement Wednesday. While the price is lower than its $130 million valuation, the sale marks the largest amount of money that the country has recovered from 1MDB, he said. The government had struggled to find buyers for the 300-foot luxury ship after an earlier auction failed. The yacht was seized in Indonesian waters last year as part of Malaysia’s effort to recoup about $4.5 billion allegedly embezzled from 1MDB. Read more on how the 1MDB scandal shook the financial world. Low said the deal was done at a “bargain-basement sale price” and that the vessel would have maintained its value had the government not seized it and docked it in a “hazardous” environment at Port Klang. His comment was made in an emailed statement through his spokesman. Low, who has denied any wrongdoing, remains at large. He faces charges in Malaysia including money laundering. The scandal surrounding the troubled state fund has reached the highest levels of Malaysia’s government and ensnared Goldman Sachs Group Inc. in its first criminal case. Former Prime Minister Najib Razak faced his first day of trial on Wednesday for seven of 42 charges linked to his role in 1MDB. He has pleaded not guilty to all the allegations. Genting Malaysia’s shares surged after the announcement, rising 3.5 percent on Wednesday, the steepest gain this year. The company is part of a global conglomerate that operates casinos, resorts and cruise lines in the U.S. to Australia, as well property and palm oil plantations. The group runs the luxury Star Cruises line in Hong Kong and Resorts World Sentosa in Singapore that boasts a Universal Studios complex.